2019 Event Tickets for Detroit Concerts are on sale now! Did you know that Detroit has over 5 generations of world-class musicians to its name? It is difficult to say where this legacy started. Was it early jazz? Sprinklings of folk? Regardless, one of these powerful, enigmatic generational waves native to Detroit is Motown. Named after Motown Records, Motown music is characterized more broadly as the mid-1960s sound of that signature studio, known for steady beats, 4/4-time signatures, heavy presence of strings and horns, gospel-inspired vocal harmonies, and pop vocals. An overwhelming slew of quintessentially-American songs such as “Papa Was a Rollin’ Stone,” “I Heard It Through the Grapevine,” “I’m Coming Out,” “What’s Going On,” “My Girl,” and “The Tracks of My Tears” come from this era of music. Around the same time frame, punk and rock exploded in Detroit, as artists such as MC5 and Iggy Pop (James Newell Osterberg) of The Stooges emerged. Iggy was reportedly inspired by the industrialism of Detroit. 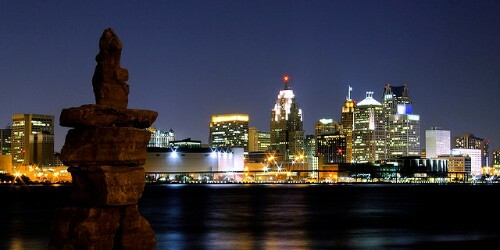 From here, the city’s reputation as “Detroit Rock City” catapulted to new heights. Motown favorites such as Smokey Robinson, Stevie Wonder, and Aretha Franklin evolved with the new sounds. Later on, more contemporary artists such as Jack White (The White Stripes) came along. For Concerts in Detroit, please see our event listing calendar of Concert tour dates in 2019! It is common knowledge that Detroit is a city that has experience a great many hardships, from politics to economics and beyond. However, Detroit is wildly resilient, focused on survival. This is how Detroit thrives. This spirit is captured in Detroit’s institutions and creations, permeating slam poetry sessions, independent business ventures, and recording rooms endeavors. In the face of bankruptcy, corruption, deindustrialization, or whatever else challenge’s Detroit’s spirit, the people of Detroit move forward, a phoenix rising. A listen to Detroit’s playlist captures this phenomenon. Contemporary waves of hip-hop carry this torch, recognizing social problems and uniting people. As they say, “Nothing stops Detroit.” One of the countless examples of this approach is the work of Wallace Detroit Guitars. This niche instrument shop designs and creates hand-made guitars, crafted from the remains of Detroit’s demolished buildings. Do you want to hear classic rock with a side of cocktails? Go to Café D’Mongos. Do you want mosh pits and metal? Harpos Concert Theatre has it in spades. Do you want exclusive jazz and fine dining? Go to the Dirty Dog Jazz Café. Do you want the CBGB of the Midwest? Go to The Old Miami. Do you want Art Deco with national stars? Fox Theatre is the place to be. Do you want some of the highest caliber acoustics available and old-timey picture house aesthetic? The Fillmore Detroit—formerly State Theatre and Palms Theatre—is your destination. Truly, the options are endless in Detroit’s venues. How Do I Find Upcoming Detroit, Michigan Concert Events Near Me? See below for a list of Concerts in Detroit MI scheduled for 2019.